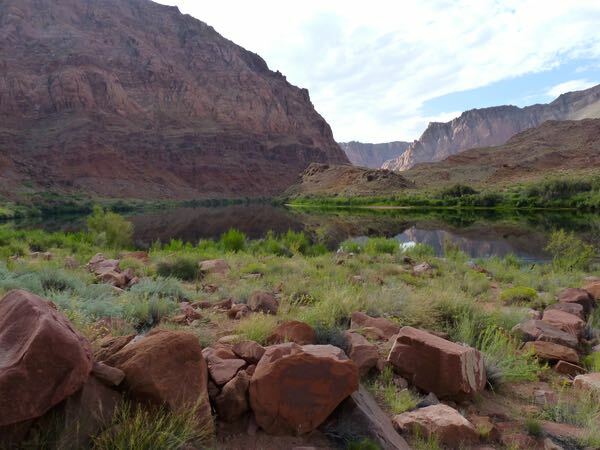 Lees Ferry, part of the Glen Canyon NRA, is on the Colorado River near Marble Canyon. In the 1870s, it was the only crossing of the river for 50 miles. A small fort was constructed to protect the operator and those traveling through. The ferry and fort were built by the Mormon Church to aid colonization of the Arizona Territory. 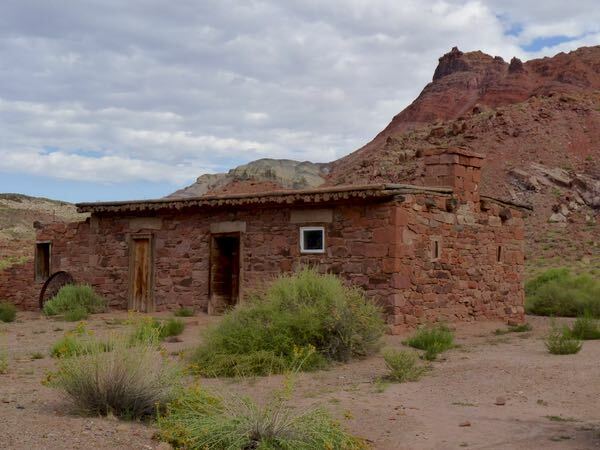 Other stone buildings were built for the US Geological Service, and the American Placer gold mining operation. A couple of boilers used in the failed mining remain. A road was also constructed to move users along. In time, the Lonely Dell ranch was built for the family running the ferry. 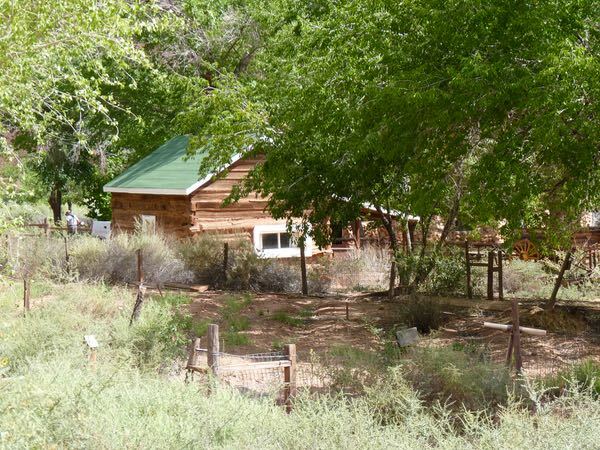 A few buildings remain, a pioneer cemetery, and the garden and orchard are maintained. 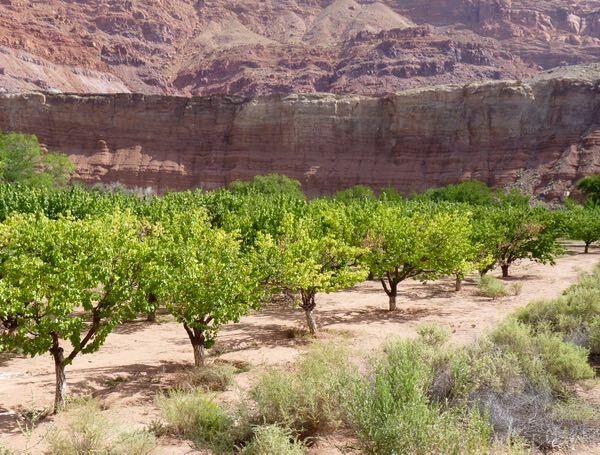 You can pick fruit for free in season. The River Trail, followed the river to where the ferry crossed the water. 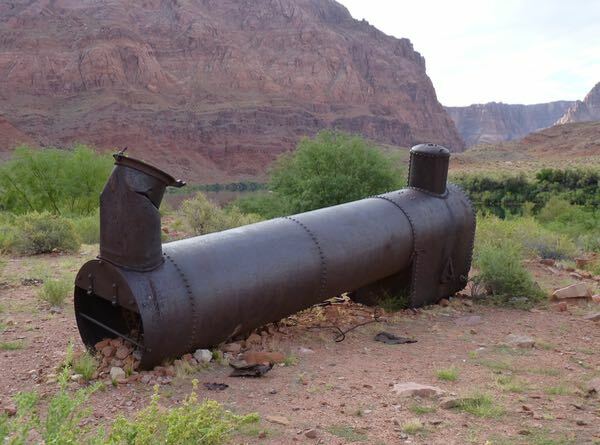 Along the way were remains of a paddlewheel boat that sank; another failure by the gold mining company. 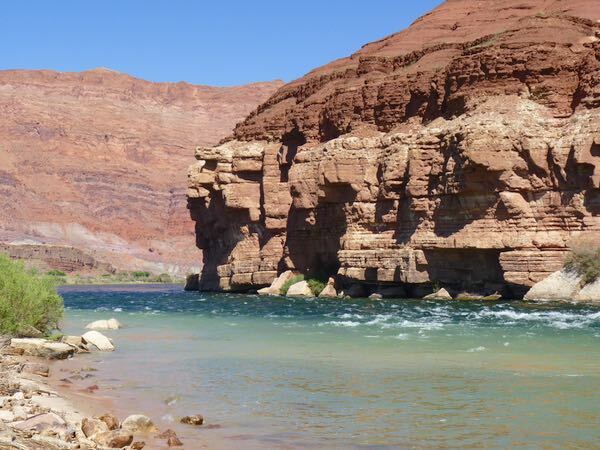 Eventually, the ferry was replaced by the Navajo Bridge spanning the river at Marble Canyon. 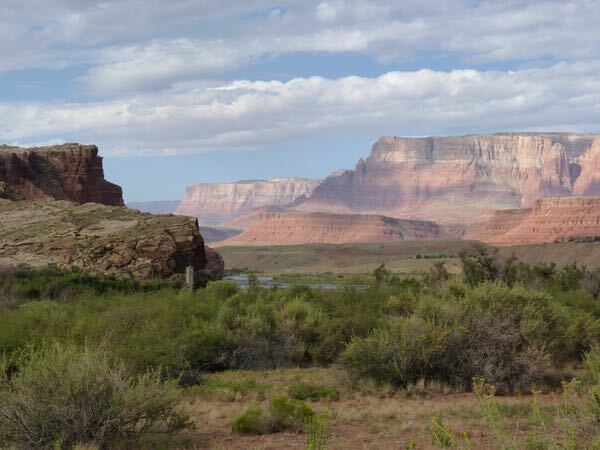 The campground provided a good view of the river and the surrounding rocks, part of the Vermilion Cliffs formation. Unfortunately, it was ten degrees hotter than the weatherman predicted. So, I moved on after a couple of days.